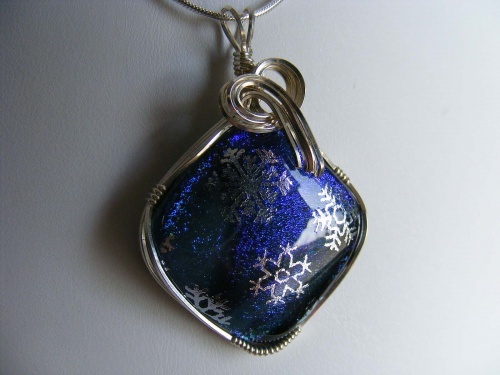 This elegant handmade dichroic pendant is so whymsical and fun with pretty white snowflakes coming down on a deep blue background. Sculpted in sterling silver curls, this piece is truly unique. Measures 1 3/4" from top to bottom and 1 1/4" from side to side. Comes with a sterling silver chain.